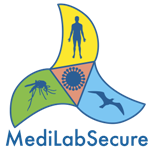 As part of the MediLabSecure activities, meetings with national partners are organized to get a sense of the laboratories environment and discuss in more detail ongoing activities and possible collaborations within the project priorities. 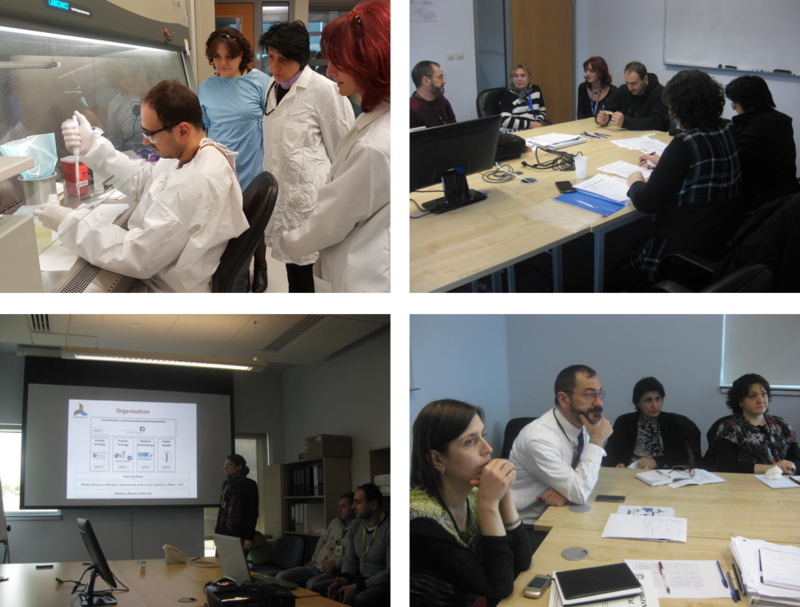 The Human Virology working group has organized a site visit to the Georgian laboratories of the MediLabSecure network in Tbilissi, from November 10th to 11th 2015. The aim of this visit was to meet and discuss with the National Centre for Disease Control and Public Health (NCDC) staff members from the human virology working group as well as NCDC entomologists and epidemiologists about their current projects, needs and interests concerning activities in the focus of the MediLabSecure project. Veterinarians from the Laboratory of the Ministry of Agriculture (LMA) which are members of the MediLabSecure animal virology network were also invited to the discussions and training sessions. Indeed, a train the trainers session was scheduled during this visit. We are very grateful to Dr Aykut Ozkul, on of the principal investigators of the virology department and director of the biotechnology Institue in Ankara university, and his team for making this visit so interesting, fruitful and pleasant. A joint visit of the medical Entomology working group and the project coordination was organized to the Institut Pasteur of Algeria (IPA) from April 20th to 21st 2016. The aim of this visit was to provide recommendations on the building and organization of a future insectarium at the IPA and to meet and discuss with the local partners from human virology, medical entomology and animal virology working groups on their needs and future collaborative activities. Moreover, we took this opportunity to meet with the local EU representatives. We are very grateful to all our Algerian colleagues who welcomed us in Algiers, especially Dr Zoubir Harrat, Pr Kemal Kezzal and their teams. 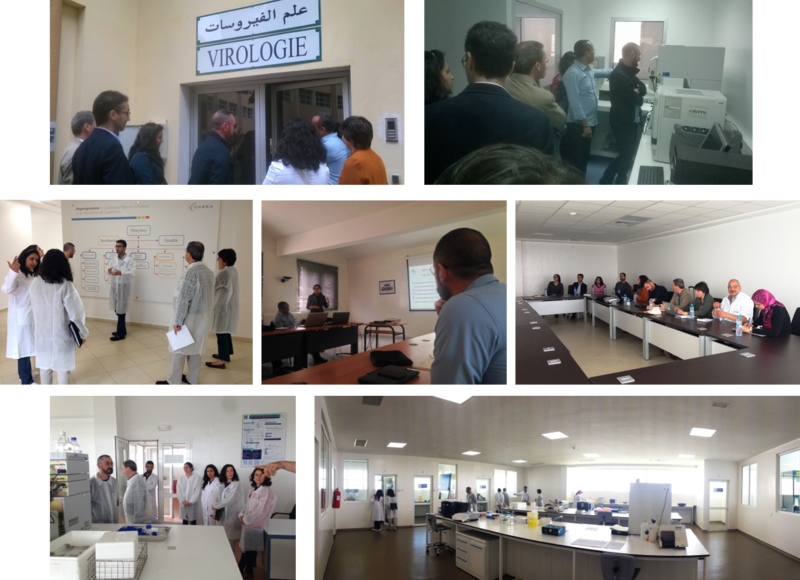 In May 2016, a joint site visit to Morocco was performed by the animal virology working, the human virology working group and the project coordination group to the Moroccan laboratories of the MediLabSecure network. During this visit, we have met the staff members of the Institut Pasteur in Morocco and the Regional Laboratory for Analysis and Research of Casablanca (RLAR-ONSSA) and had discussions about their current projects, needs and interests concerning activities within the scope of the MediLabSecure project. We are very grateful to all our Moroccan colleagues who welcomed us in Casablanca and in Rabat, especially Dr Nabil Abouchoaib, Pr. Naïma El Mdaghri, Dr Jalal Nourlil, Dr. Mhammed Sarih and their teams. 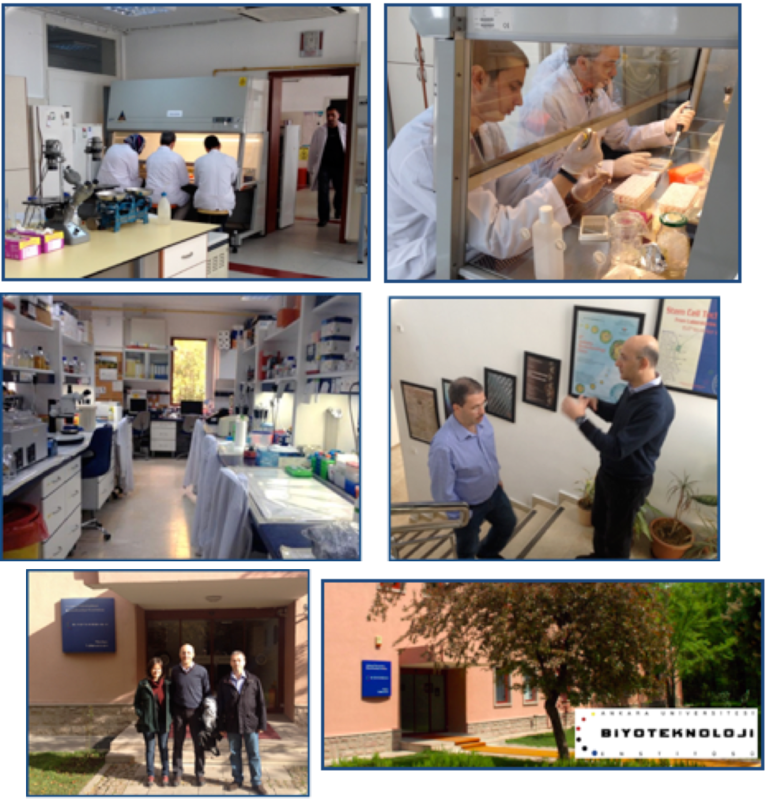 The Animal Virology working group has organized a site visit to the Serbian animal virology laboratory of the MediLabSecure network in Belgrade, from April 21st to 23rd 2016. 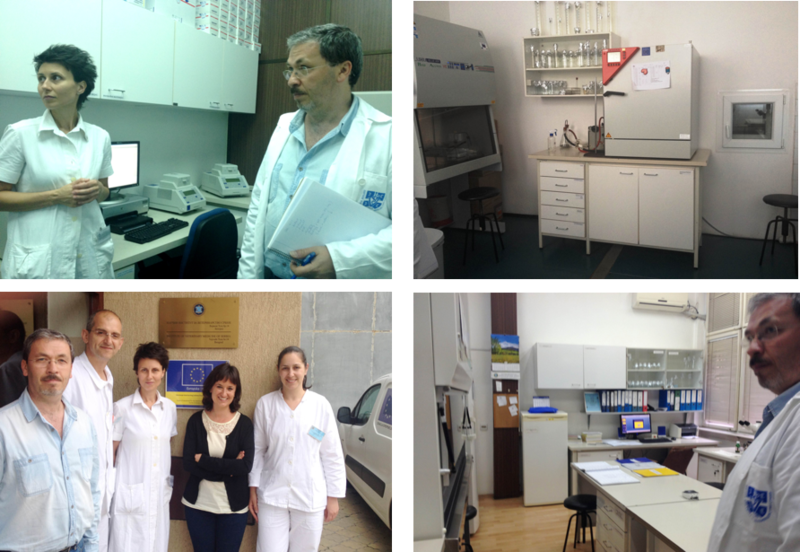 This visit was organized to meet and discuss with the staff members of the Institute of Veterinary Medicine of Serbia (IVMS) about their current projects, needs and interests concerning activities within the scope of the MediLabSecure project, visit the laboratories of the IVMS to assess the strengths and needs of their diagnostic capacities and to evaluate the level of biosafety management, and disseminate the activities of MediLabSecure project in the “Second International Symposium of Veterinary Medicine” organized by the IVMS in Belgrade. We are very grateful to all our Serbian colleagues from IVMS who were very welcoming and helpful. 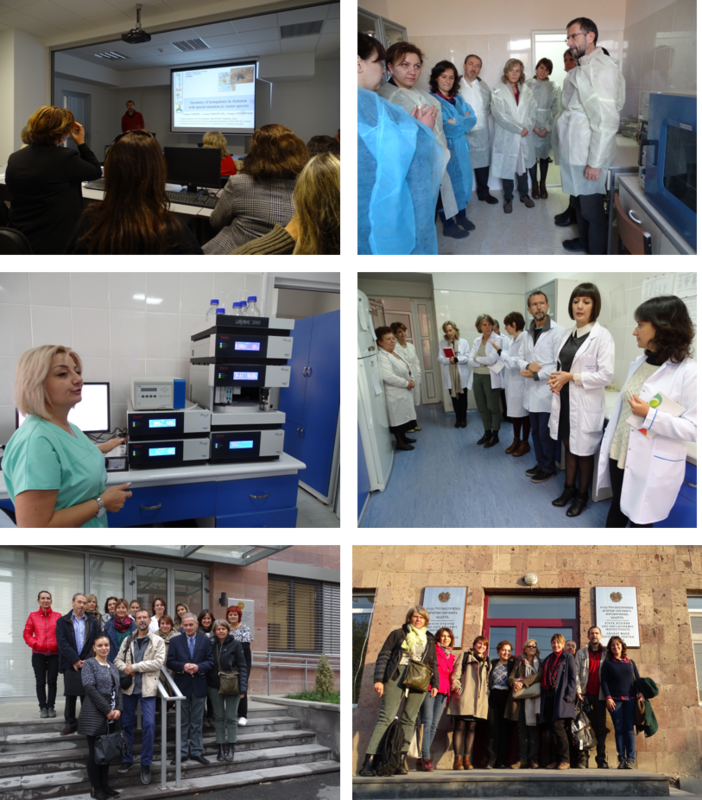 In October 2016, a joint site visit to the Armenian laboratories part of the MediLabSecure network was performed by the animal virology working, the medical entomology working group, the public health working group and the project coordination group. We have visited the facilities of the Republican Veterinary, sanitary and phyto-sanitary center for laboratory services (SNCO) and the National Center for Disease Control and Prevention (NCDC) located in Yerevan, Republic of Armenia. We did also visit a regional sub-branch laboratory of NCDC with special focus on entomological activities. This visit was also the occasion to present the results of the Vector-Net mosquito field-mission to Armenia in with Dr Vincent Robert, MediLabSecure coordinator for medical and veterinary entomology took part. On this occasion, the National Reference Mosquito Collection of Armenia was officially handed over to the national experts. Moreover, 12 stereomicroscopes provided by the project were inaugurated and used during an entomology training session conducted at the NCDC concomitantly to the visit. The last site visit was to Armenia in November 2016. We are extremely grateful to our Armenian partners, in particular to Dr. Lusine Paronyan, who were very welcoming and provided the best conditions for fruitful discussions. Armenia Site visit MediLabSecure from MediLabSecure on Vimeo. 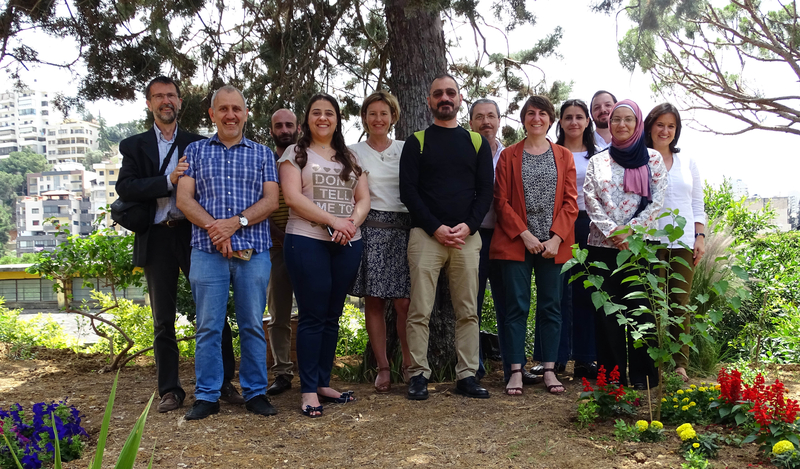 A joint site visit was organized to the Lebanese laboratories of the MediLabSecure network in Beirut, from May 31st to June 1st 2017. During the visit, we have met with the Lebanese members of the MediLabSecure project from the human virology network, the animal virology network, the medical entomologists network and representatives from the Public health ministry about their current projects, needs and interests concerning activities in the focus of the MediLabSecure project. We are very grateful to all our Lebanese colleagues who were very welcoming and helpful.